South Texas College will be closed in observance of Thanksgiving Day Nov. 22-23. Classes and services will resume on Nov. 26 through Dec. 14. Registration and online services are available 24/7 through the college’s online portal, JagNet. New and current students are encouraged to begin registering for the Spring 2018 semester as soon as possible. Students can avoid a registration fee if they meet the early payment deadline by Nov. 30 for spring 2019. Final payment deadline is Feb. 6, 2019. Classes not paid in full by 5 p.m. on that day may be dropped. 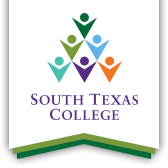 For more information regarding registration, please call 956-872-8311 or view the complete registration checklist at http://www.southtexascollege.edu/register/.